US-Locksmith.com, reveals how difficult it truly is to break into luxury cars. The company conducted a survey to find the most secure luxury vehicles on the market and why their particular security mechanism is superior to all others. Earlier this year, the National Insurance Crime Bureau reported that overall car theft rose by 1.3 percent in 2012, the first increase in eight years. As car theft and vandalism climbs, car manufacturers are getting increasingly savvy with improving security systems, especially for higher-end vehicles. To get a real picture of how difficult or easy it is to break into luxury vehicles, US Locksmith, a professional locksmith company, conducted a survey of more than a dozen locksmiths that make a living “breaking into” cars when customers are locked out. The results reveal the most difficult luxury vehicles to break into, explains the reasons why, and serves as a good starting point to improve a car’s security mechanisms to prevent theft and vandalism in the future. There is a consensus among all the locksmiths surveyed that the Range Rover is practically impossible to open without a key or without the help of Range Rover’s roadside service. When the car is locked and the alarm is on, the entire electrical system is activated and the car will remain unresponsive without the remote keychain transmitter. 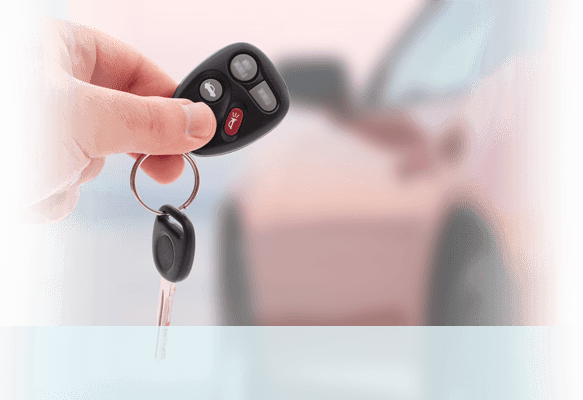 When key remote is unavailable, special equipment and expertise is required to neutralize the car’s security mechanisms, an ability that most locksmiths don’t possess. Additionally, Lexus vehicles are also notoriously difficult for locksmiths to crack. This is because the button on the door frame is designed to quickly drop back into place as soon as it is lifted. This makes it extremely difficult to manipulate, even with the right tools. It can take a locksmith several hours to break into a Lexus and fast maneuvering is a necessary component to breaking into a Lexus. If speed is the determining factor to opening a Lexus, special skills are needed for the BMW. With the BMW, the reasons behind the difficult break-in were due to the double locking mechanism that made it extremely hard to penetrate. BMWs have a high security system that is activated with an alarm, and the only way to open this car is to convert the lock system to a manual mode. Further, special skills and knowhow are required to open this car because you need to perform specific tasks in a specific order for the break-in process to work. There have been 4,384 luxury vehicle thefts recorded between 2009-2012, and despite these advanced recovery systems and new technologies, luxury vehicles remain an attractive target to car thieves. Despite the very surprising fact that only 16.3% of luxury vehicles remain unrecovered as of 1st quarter of 2015, thefts and break-ins are an invasion of one’s privacy and a traumatic event that most everybody would want to avoid at any cost. Some manufacturers take especially great pride in securing or developing cars with robust security systems and are in constant competition with car thieves that keep finding ways to outsmart the industry. For instance, three Mercedes models—the C Class, E Class, and S Class—landed in the top 10 cars listed on a NICB report on luxury-vehicle thefts. Yet, Mercedes Benz manufacturers developed a recovery system called Mbrace which has been an effective tool at responding and retrieving stolen Mercedes vehicles. This case study demonstrates the potential of leveraging a common locksmith’s insider knowledge and experience that can perhaps be used to increase the security mechanisms of all vehicles moving forward. If you got locked out of your car, call us now at 1-866-374-4840. Our goal is to have a technician at your location within 15 minutes, 24 hours a day 7 days a week. In case you need to reprogram your key or create a new key, we would be happy to assist you. We offer a wide range of repair services and accessories associated with cars and have a lot of experiance in helping thousands of happy customers.